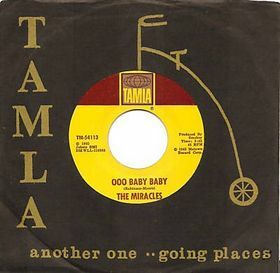 “Ooo Baby Baby” didn’t hit the top of the chart, or even sell a million copies, but it was one of THE songs of the summer in 1965. Despite a baby-talk title, the song starts melancholy and doesn’t waver. An unfaithful Smokey Robinson is heartbroken, miserable and penitent. Check out the way he sings the word “crying” at the end of each verse, echoing Roy Orbison’s heart-wrenching single of the same name. Robinson’s creamy vocals help the pain go down smoother, but the way the last note is left hanging, it’s clear there is no hope or delivery ahead.